Home »Latest Blog»2012 Holiday Stamped Wizards!! 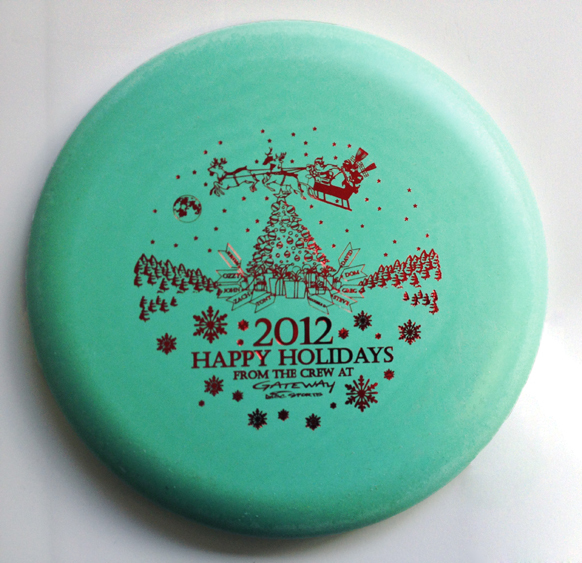 We have 47 extra Holiday stamped discs!! These Wizards were stamped and shipped to our wholesale customers, and we have a couple dozen extra, so we are letting our retail customers in on it! They are $13 per disc and if interested, you can paypal your payment to david@gdstour.com, and in the description, add that this is specifically for the 2012 Holiday stamped discs! Next → Next post: Review Our Courses! Whats the weights and Colors left? Are they SSS? Plastic looks like it in the pic but its hard to tell? Def would like a couple if there are any left still.